Paoli & Purdy, PC is focused on providing clients with highly skilled legal counsel. If you or your loved one has suffered an injury or been hurt by someone else’s negligent actions, our team at Paoli & Purdy, PC can provide you with skilled and focused representation. Our Aliso Viejo attorneys are dedicated to providing our clients with counsel that is focused on pursuing fair and just compensation. 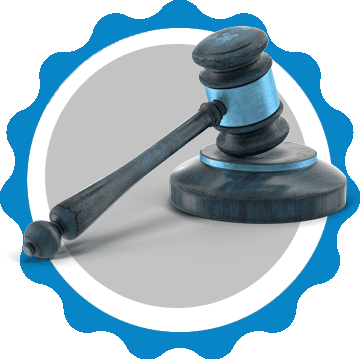 Each of our lawyers have provided representation for thousands of cases and have helped our clients recover millions of dollars in decisions and settlements. No matter how complex or simple your case might be, our legal team has the experience and knowledge to provide effective representation on many cases. Unfortunately, there are many people throughout Orange County who have been hurt in an accident, have a civic issue, or are dealing with harassment at work. Our legal team at Paoli & Purdy, PC has the experience and knowledge to provide you or your loved one with legal counsel that can pursue a fair resolution. Learn more about how our attorneys at Paoli & Purdy, PC can help you by calling us today at (949) 751-6371. After a six week jury trial, and after withstanding a lengthy appeal filed by the Defendant, William M. Paoli and Court B. Purdy resolved a landlord tenant dispute involving water intrusion and resulting severe and disabling injuries to a young girl for which the jury awarded both her and her father a total of $1,272,395.00, which included an award of punitive damages against the landlord. William M. Paoli and Court B. Purdy of Paoli & Purdy, PC secured a $290,000.00 settlement for a motorcyclist involved in an accident in which the investigating officer concluded that the Plaintiff was 100% at fault for causing the subject accident. The matter was resolved short of trial. William M. Paoli and Court B. Purdy of Paoli & Purdy, PC secured a confidential settlement against South Bay Yellow Cab and a $9,500,000.00 settlement from the City of Los Angeles for the parents of Naomi Larsen (Age 15) who was hit and killed by a South Bay Yellow Cab while attempting to cross Vista Del Mar along Dockweiler beach in the City of Los Angeles. The Defense relied on the opinions of the investigating officers who determined that Ms. Larsen and her friends were at fault for causing the accident since they failed to utilize a marked crosswalk and were “jay walking”. Plaintiffs were able to show that historic marked cross walks in the area had, without City approval, been eliminated and that there were no marked crosswalks for over a mile and no operating street lights on the roadway at the time of the accident. In addition, Plaintiffs alleged that the City had actual notice of a dangerous condition to pedestrians and of other pedestrian accidents and fatalities going back many years. Court B. Purdy of Paoli & Purdy, PC and Jeffrey Greenman of Greenman Law, P.C. obtained an arbitration award in a premises liability case against Kaiser Foundation and its related affiliates for $1,237,724.00. This case stemmed from Plaintiff’s use of a handicap bathroom door at a Kaiser facility in Anaheim that Plaintiff claimed had not been installed per the ADA requirements thereby causing her to fall and injure her right arm which resulted in seven surgeries, infections and permanent injury. The Defense argued that there was nothing wrong with the forces to either open or close the bathroom door, that Plaintiff caused her injury and that the care was not related to the fall, if in fact it had even occurred as Plaintiff described . There was never any offer by the Defendant to resolve this matter before the arbitration. William M. Paoli of Paoli & Purdy, PC and Jeffrey Greenman of Greenman Law, P.C. obtained a settlement of $1,000,000.00 for a client who was severely beaten by the security personnel of a nightclub. Our client suffered a traumatic brain injury which was severely disabling. The Defense argued that it was our client that incited the altercation and that he was the cause of his injuries. Video evidence obtained by our offices proved that argument to be wrong. William M. Paoli and Court B. Purdy of Paoli & Purdy, PC secured a $225,000.00 settlement in a land lord tenant dispute involving water intrusion, contamination and mold growth which adversely impacted our clients health. Paoli & Purdy represented an Orange County family who became ill as a result of exposure to toxic mold in their home. Case settled for a total of $900,000.00. Attorney Court B. Purdy (along with Co-Counsel) represented Melissa Celmer and her three boys (Jacob, Kyle and Casey) in a lawsuit against the former of their apartment complex (Robert and Helen Kotob of Los Angeles), the current owner of the complex (KDF North Hills of Orange County), the Property Manager (VPM Incorporated) and the Remediation Contractor (Rainbow Contractor, Inc. of Orange County). William M. Paoli and Court B. Purdy of Paoli & Purdy, PC secured a $200,000.00 settlement in a land lord tenant dispute involving water intrusion, contamination and mold growth which adversely impacted our clients health. William M. Paoli and Court B. Purdy of Paoli & Purdy, PC secured a $125,000.00 settlement in a land lord tenant dispute involving water intrusion, contamination and mold growth which adversely impacted our clients health. William M. Paoli and Court B. Purdy of Paoli & Purdy, PC secured a $1,085,000.00 settlement for the wrongful death of an individual exposed to roofing chemicals and toxins while at the person’s place of employment. Initially, the firm represented the Plaintiff against the building owner, the roofing company and the sub-contractor hired for the job. The case evolved into a wrongful death matter when the client passed away from her injuries. Plaintiff’s efforts to prove both liability and causation against the Defendants were extensive and required the use of roofing and HVAC experts along with expert s in the areas of industrial hygiene, toxicology, and psychiatry. Our legal team at Paoli & Purdy, PC is here to provide our clients with skilled and understanding counsel. We can help you pursue the justice you deserve.